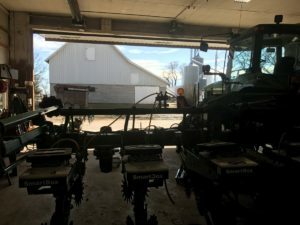 Planting weather is fickle in Minnesota. 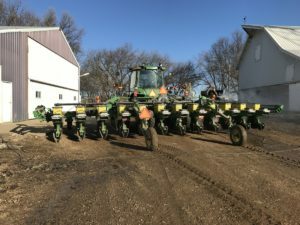 It can lull you into believing that you have all the time in the world to get the crop in and then the updated forecast puts us under the gun to get as much in before the rains or cold snap hits. 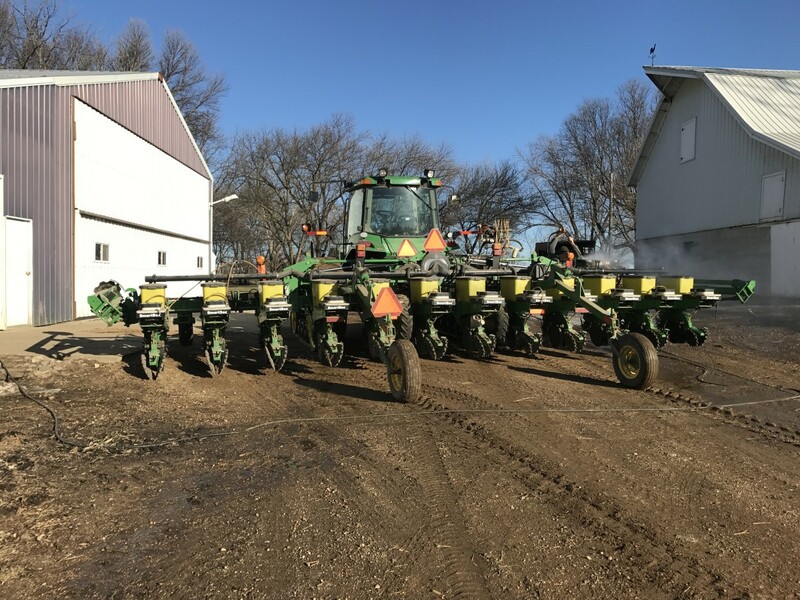 We don’t want a half ready planter to come between us and the impending deadline. 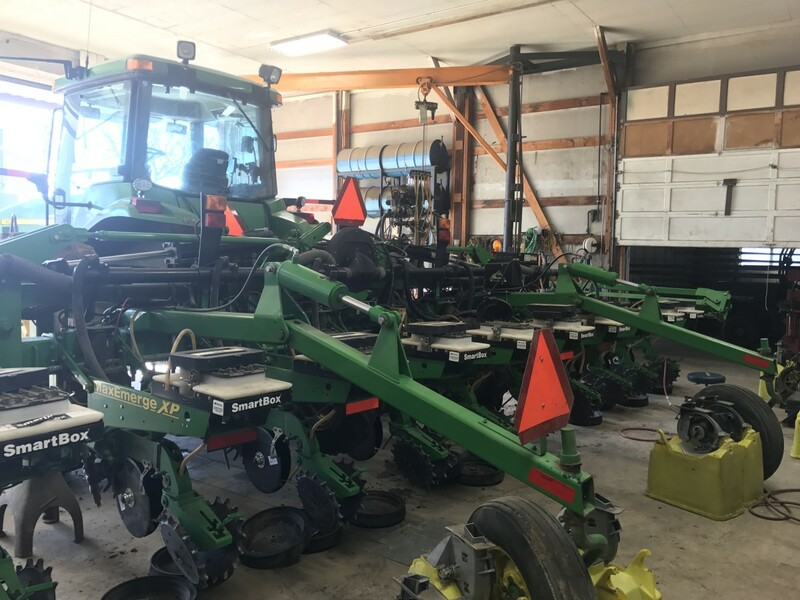 Stripping down the planter for repairs. This year, yet another layer of wiring was strung across the planter tool bar. 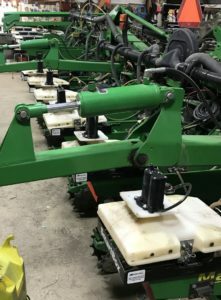 My grandfather would cringe at what we call a planter. 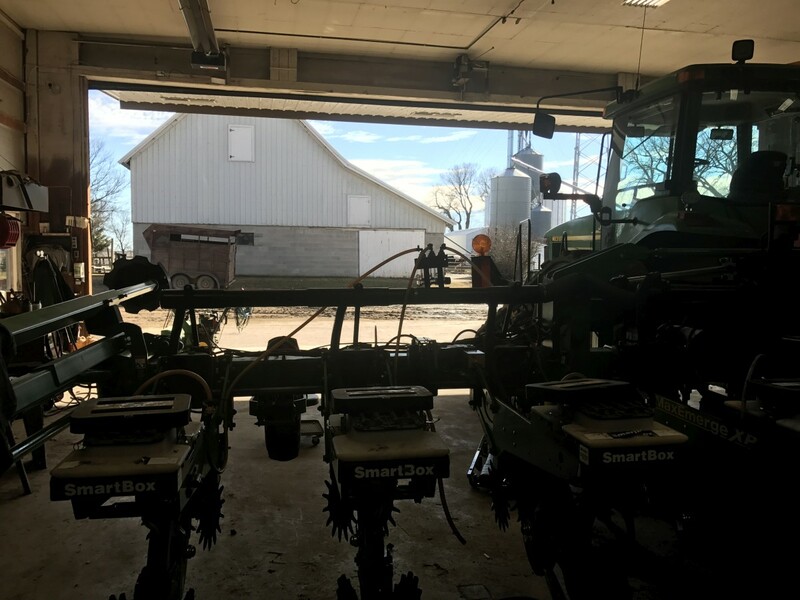 His would plant just fine with no more electronics than a seed monitor that made sure seed was flowing in all rows all the time. 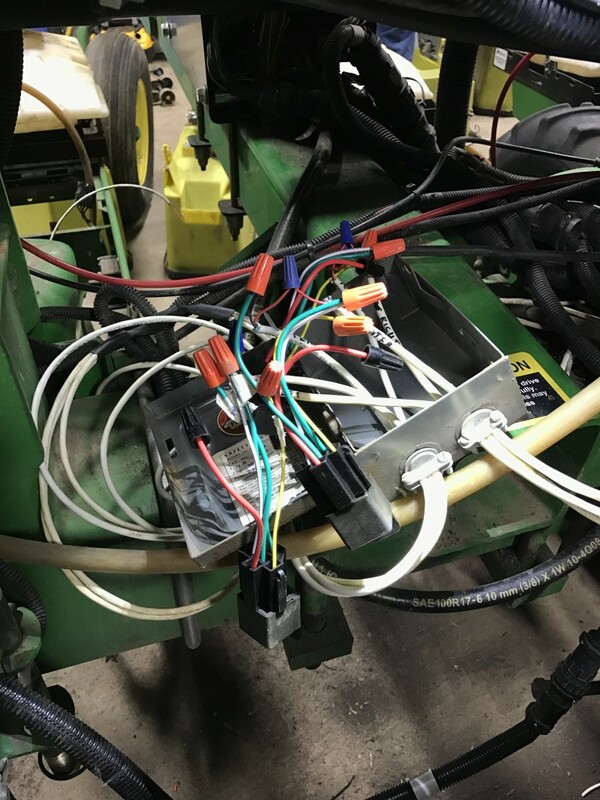 Today, we have layers upon layers of wiring on our planter. We also have a computer controlled monitor as well as three more computer assisted controllers. But I digress. 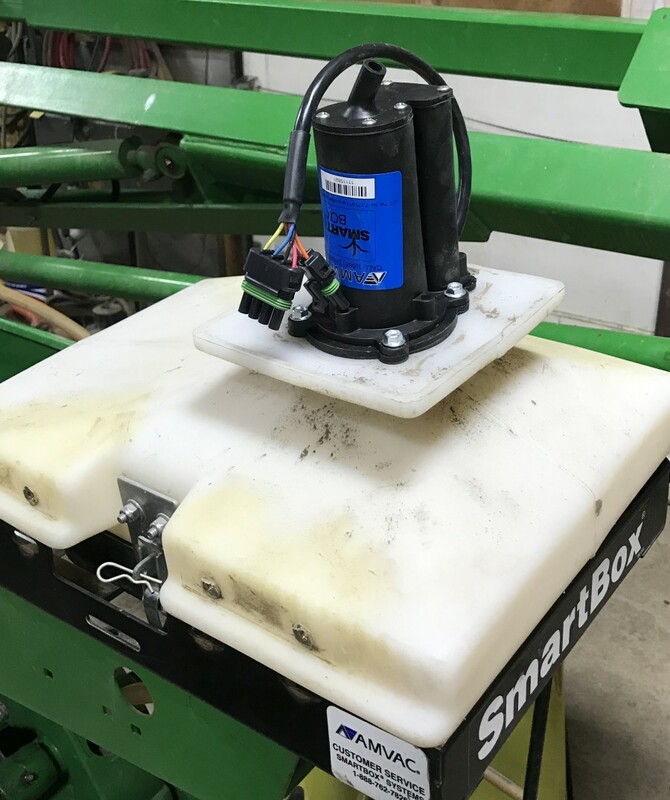 The latest and greatest insecticide meters allow individual row control for on/off so our new layer of wiring takes advantage of this by tying the insecticide flow to the 3 control sections that our planter uses for seed and fertilizer. Less wasted product saves money and the environment. Meters bases ready to install. 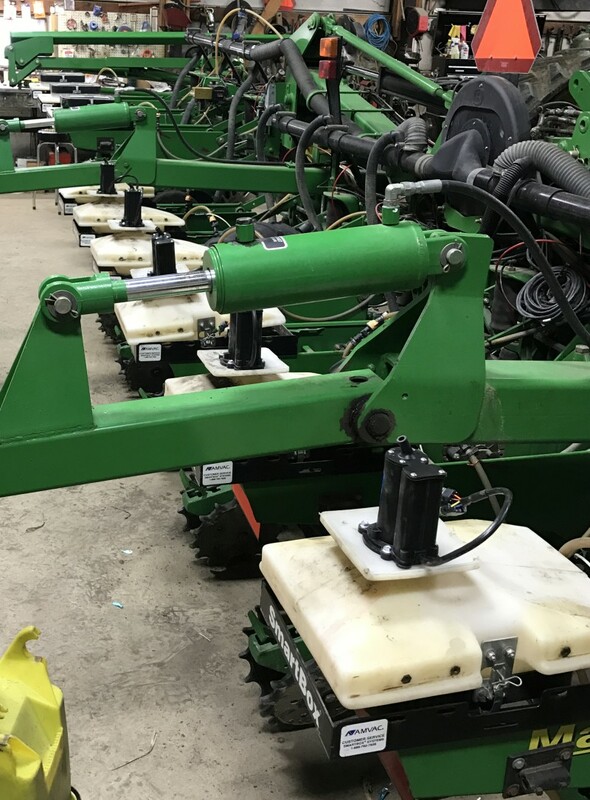 Wiring Meters to shut off with planter sections. Spring is here! 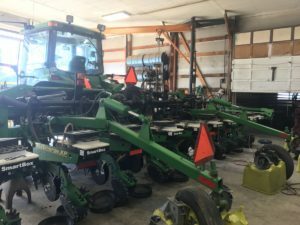 Planting is near. Tagged 2017, equipment, farming, march, planter, technology, tractor. Bookmark the permalink.